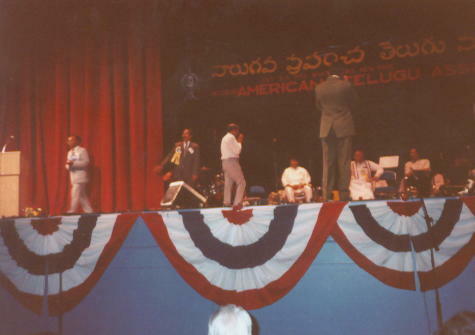 Innaiah receiving Siromani Award in America Telugu Association fourth Convention held at New York, 1992. P.Ramachandra Reddi, Minister for Industries, Andhra Pradesh Government gave the Award. TANA award was given away by Akkineni NageswaraRao, cine actor chief guest in Telugu Association of North America held in Los Angeles in 1997 .I gave acceptance speech in the convention.